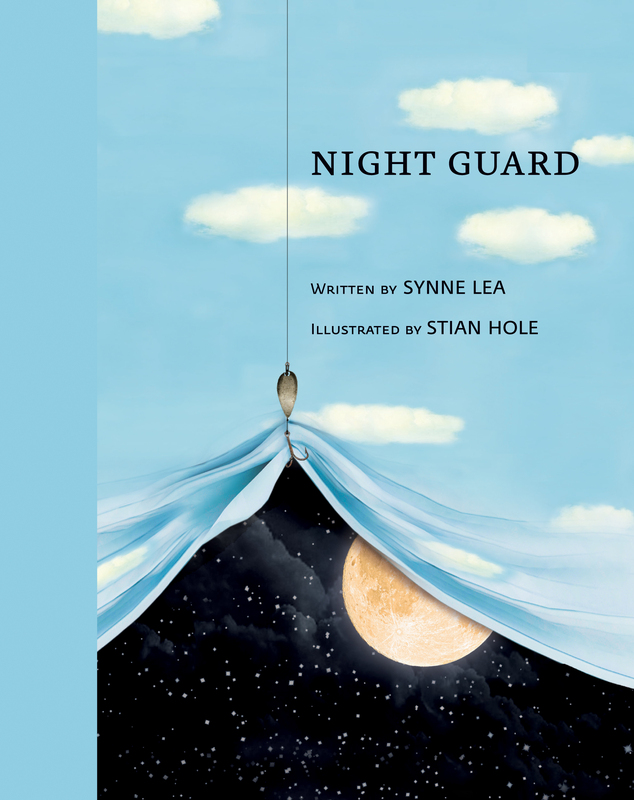 Our guest today is Synne Lea, an award-winning Norwegian poet and the author of Night Guard, a new collection of poems for children (illustrated by Stian Hole). 1. What do you hope young readers take away from Night Guard? I would love it if young readers feel both a little chill and some comfort reading Night Guard. And I would be extra happy if some of the words or illustrations put a smile on their face. If reading the book could make them recognize something, or even better, could make them feel recognized — to see themselves in something they see in the book — I would be delighted. I started reading poetry when I was approximately ten years old, and ever since then poetry has been comforting to me. I feel less alone reading poetry. I think one of the reasons is because I don’t feel I have to understand everything to enjoy reading it. I feel free to experience, and it gives me a sense of peace. I hope young readers find the same thing in this book. 2. How did your collaboration with Stian Hole materialize, and what is your process for working together? Writing Night Guard was like starting a new friendship. We didn’t know each other when we started, and both of us were mostly used to working alone and by ourselves. We both had to speak and put our thoughts into words; we had to listen to each other, take risks, stumble and fall and help each other, and openly expose our strengths and weaknesses like friends do. This might be one of the reasons the book partly is about just that: friendship. We started out with just a couple of poems, and we e-mailed each other almost every day for a whole year when we wrote this book. At the end it felt as though we had done everything together. Some of his ideas I put into words, and some of my ideas he put into illustrations. 3. How is writing poetry for children different from writing poetry for adults? I am not quite sure, actually. I write poetry both for children and for grown ups. I also write novels. But when I write poetry I often feel freer. I think poetry is one of the genres that speak easily to both at the same time. It has more to do with being open and playful. I mostly read poetry for grown ups when I was a child. One of the things I find unique and special for children or teens is how they experience a lot of things, including certain kinds of language and words, for the first time. I often find them even more open to metaphors and new ways of using the language than grown ups are. They don’t have as many “rights and wrongs” yet. Experiencing something in a new way is also the heart and soul of a lot of poetry, I believe. 4. What’s the best advice you can give to aspiring authors or poets? Play, have fun, don’t be afraid to speak out, don’t be afraid of using your language and your voice in new ways, even if those ways are by definition “wrong.” That is, I believe, how we keep words and language alive. 5. What’s one thing not many people may know about you? I found writing so difficult when I was in school that my older sister wrote some of my assignments while I did what I loved the most: running through the woods. I actually started writing when I fell ill and could not run anymore. Writing became my way of moving when I had to lie still. Now I love writing just as much as I loved running when I was younger. To learn more about the book, read our Five Questions interview with Stian Hole, and order Night Guard today!